How to log out of embedded labs – IDEAS? What Should We Do Next? Sometimes the IBM Cognitive Class Lab environment encounters an error (e.g. a 502 Bad Gateway Error) and is unable to start. We're working to fix all of these errors. In the meantime, the best way to get past this issue is to log out of the lab environment. The lab environment has a separate account system from Cognitive Class. 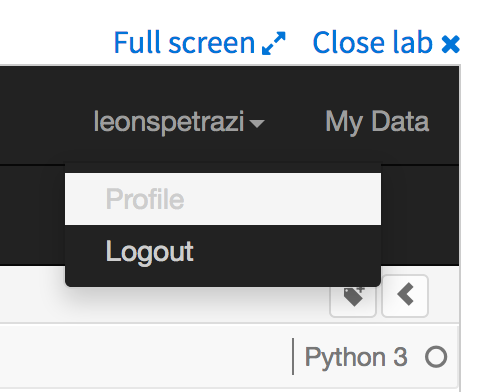 To log out of your lab, move your mouse cursor over your Labs username (in black) and choose Logout from the short menu that pops up. After you log out, you should reload the whole page in your browser. You can now launch the lab environment again by clicking on the Start Lab button. 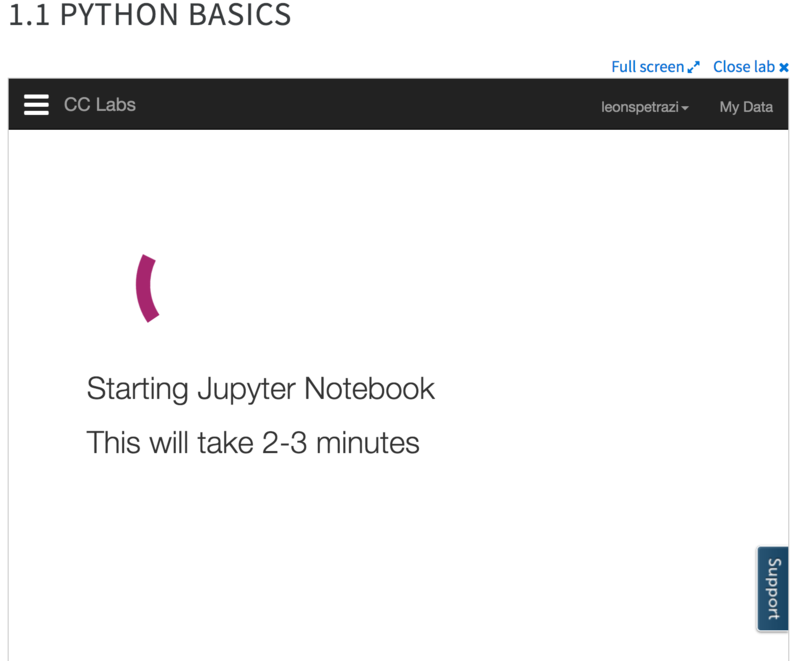 Your lab environment should now start successfully. Where can I find Big SQL Technology Sandbox?